From the second edition back cover: "Ecocriticism explores the ways in which we imagine and portray the relationship between humans and the environment in all areas of cultural production, from Wordsworth and Thoreau through to Google Earth, J.M. Coetzee and Werner Herzog’s Grizzly Man. Greg Garrard’s animated and accessible volume traces the development of the movement and explores its key concepts, including: pollution; wilderness; apocalypse; dwelling; animals; earth. 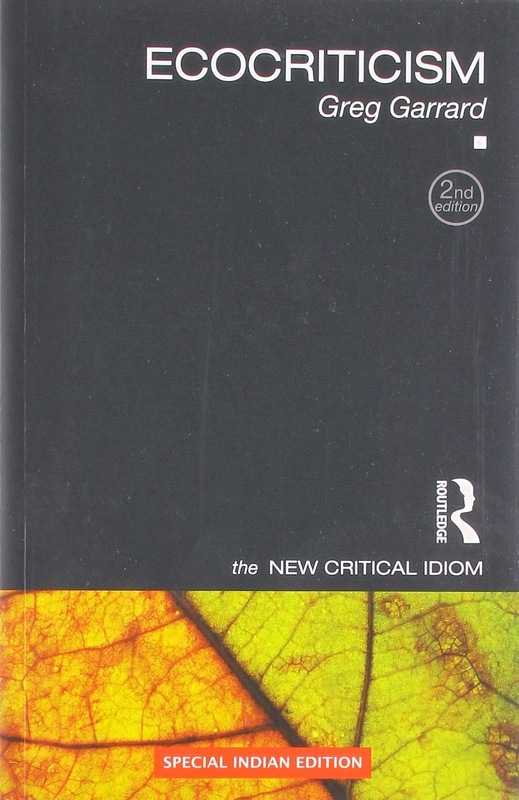 Concise, clear, and authoritative, Ecocriticism offers the ideal introduction to this crucial subject for students of literary and cultural studies." To be honest I haven't read this second, promising, updated edition, and at least a couple of years have passed since I read this book in its entirety. Still, the read represented such an objective and generous source of information and ideas that I kept thereafter looking up for quotes and definitions. I must thank my partner L. Pater for passing this book to me. Either if you want to enrich your environmental vocabulary or develop a more critical (indeed!) look at environmentalism, if you are keen on understanding the visual power of the panda on the WWF's logo, or if you look for the origin of popular, yet mysterious words such as wilderness or pastoralism, for example, this is the book for you. Of this book I especially like the very objective point of view, which, for a change, can give environmentalists room for a different perspective, while reflecting on topics that are often taken for granted. It will surely provide some prime "food for thoughts" to all the (ok, nerdy) environmental culture enthusiasts, like me. Here a few lines from the beginning of the chapter on wilderness: "The idea of wilderness, signifying nature in a state uncontaminated by civilization, is the most potent construction of nature available to New World environmentalism. It is a construction mobilized to protect particular habitats and species, and is seen as a place for the reinvigoration of those tired of the moral and material pollution of the city. Wilderness has an almost sacramental value: it holds out the promise of a renewed, authentic relation of humanity and the earth..."